Weatherfix specialises in high quality and affordable flat roof coverings and industrial gutter linings throughout the UK. Weatherfix specialises in high quality and affordable flat roof coverings and industrial gutter linings throughout the UK. Our focus is the delivery of quality assured workmanship through our teams of trained installers who complement our advanced waterproofing systems. All site surveys will be carried out free of charge without any obligation and a quotation will follow every site survey. Sealoflex cold-applied liquid waterproofing is the dependable solution for all new-build or repair projects. These versatile systems can be used for a number of waterproofing applications including: flat roofing, gutters, walls, decks, below ground applications and green roofs. They are proven products that have been rigorously tested and are suitable for the most demanding applications. Sealoflex is an enviromentally friendly waterproofing system offering levels of performance and reliability that are unsurpassed by conventional alternatives. They represent the most advanced and cost effective waterproofing solutions available today. 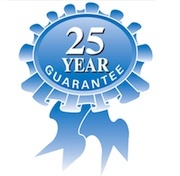 Weatherfix provides a no quibble full 25 year guarantee on all work completed which can be called upon in the unlikely event that your roof should fail for what ever reason. In Addition, we are also able to offer customers a manufacturer-backed warranty on all materials used upon installations. 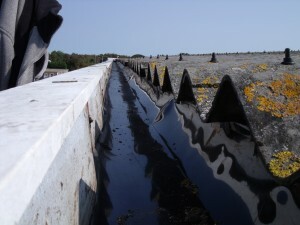 Weatherfix are specialists in industrial gutters and flat roofs throughout the UK. Weatherfix have successfully completed works to our factory roofs, Very pleased with the company and the workmen.